Route 1 is known to locals and commuters for its shopping centers, car dealerships, abundant roadside signage, and close proximity to the Massachusetts coastline. Serving as the connection between the North Shore and The Hub, Route 1 has seen better days, but business has been picking up along the highway. Locals will always have their memories driving down US Route 1, window down, zooming past neon signs and looming fiberglass statues. Latest: Karl’s Sausage has moved away. 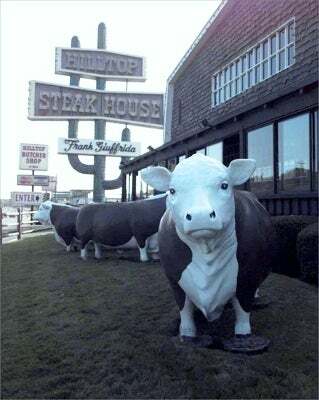 Recognized for its 68-foot-tall neon cactus sign and over-sized plastic cows, the Hilltop Steak House in Saugus had been in business for over 52 years when it announced that it would be closing at the end of October of 2013. The Hilltop had become a landmark of the Route 1 landscape. Hilltop Steak House is located at 855 Broadway in Saugus. One of the longstanding symbols among the many well-known landmarks along Route 1 is that of Karl’s Sausage Kitchen and European Market in Saugus. Owners Bob and Anita Gokey announced that the seven-foot sausage will no longer be a fixture on the Northbound side of Route 1 just past the Route-129 exit, but rather in Peabody, where the business recently opened its new location on Bourbon Street. The rift appears to be healing between Foxborough and the Kraft Group following a public battle over a casino complex proposal this spring that damaged rapport between the town and its largest taxpayer. Representatives of several municipal boards have been meeting with the Krafts, owners of Gillette Stadium and the New England Patriots football team, as part of a committee formed to hash out several initiatives, concessions, and zoning changes the company hopes will boost its economic development goals along Route 1. Pictured: Robert Kraft, right, and Steve Wynn in 2011. This is the proposed site of a two-story Wal-Mart, but work has yet to start on the long-awaited store, puzzling some in Saugus. Walmart received a foundation permit to build the 114,244-square-foot store on an 18 acres parcel next to McDonald’s. The location, one of the most visible on Route 1, is expected to open in the fall of 2013. US Route 1 wasn’t always the road’s name. It was first a trail in 1911 called the Quebec-Miami International Highway until 1915, when the northern endpoint became Calais, Maine. It was referred to as the Atlantic Highway until 1922, when the New England road-marking system was established. North to south routes were given even numbers and east to west roads were odd. The only exception was the highway closest to the shore, which was called NE 1. 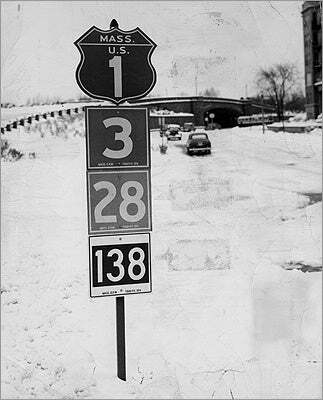 The US route numbering system was set in 1926 and NE 1 became US 1 . 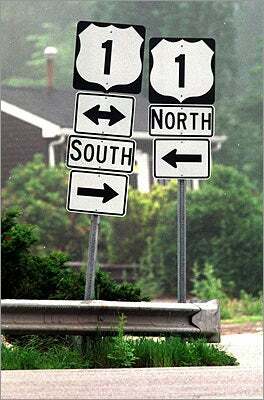 Pictured: Highway signs on Route 1 at corner of Ipswich Road. The legendary jazz spot played host to artists such as Stan Getz, Charles Mingus, Duke Ellington, and more. Pictured: Dizzie Gillespie and group perform at Lennie’s in 1966. US Route 1 is the longest highway that runs north and south in the United States. The Boston Post Road was a mail route established in the 17th century. It was one of the first named roads in New England. The lower portion of that road is part of today’s US Route 1. Pictured: Route 1 in 1951. The landmark exemplifies the over-the-top nature of Route 1 roadside attractions. The Route 1 Miniature Golf and Dairy Castle opened in 1958 and the Tyrannosaurus Rex was added in 1960 next to the sixth hole on the course. The Orange Dinosaur was featured briefly in the summer movie “Ted” with the Mark Wahlberg and Mila Kunis characters on a date. The road widened and towns nearby thrived for decades after it was built. However, the Interstate Highway System began construction in the ’50s and finally finished in the late 1970s. I-95 became the main transportation corridor across the state. US Route 1 became a local road. Pictured: Southbound on Route 1 in Saugus. Steve Meserve tried to fix his car in 1969. As the state recovers from a recession, Route 1 is slowly but surely seeing a resurgence of commercial development. Route 1 is marked by empty lots and closed businesses, but many of these vacated sites are being rebuilt. Construction is happening up and down the highway, particularly in Peabody, where 43,000 vehicles pass through the 3-mile stretch of Route 1 that runs through the city. At left, a new building going up on the former site of Country Side Motel in Peabody, along Route 1 South. This business along “restaurant row” in Saugus is described as America’s largest Asian dining complex. Kowloon specializes in Sushi, Japanese, Thai, and Chinese cuisines and attracts patrons from around Massachusetts. Kowloon is located at 948 Broadway in Saugus. America’s oldest agricultural fair, the Topsfield Fair is a huge attraction along Route 1 in the fall. The two day event features live performances, giant pumpkin contests, and carnival rides. The giant ferris wheel at the Topsfield Fair is a blur in motion, alongside the Thunder ride. Route 1 tends to attract retailers, some more mainstream than others. Last summer, a two-story Walmart was approved to come to Route 1 north in Saugus. 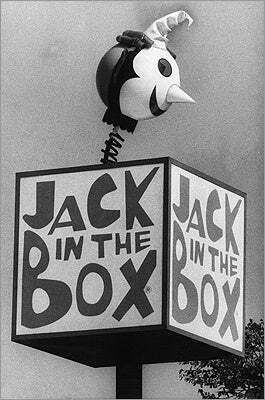 The big-box store promises to bring new jobs and tax revenue. The site would also be a welcome fix to the site’s crumbling water mains that frequently burst and cause traffic along the Route 1 corridor. Traveling south, starting at New Hampshire, US Route 1 winds through the North Shore towns of Newburyport, Newbury, Rowley, Ipswich, Topsfield, Danvers, Peabody, Lynn and Saugus. Then it passes through the Greater Boston Area, into Malden, Revere, Chelsea, then Boston and Canton. From there, Route 1 follows the path of the Old Boston Post Road through Westwood, Norwood, Sharon, Walpole, Foxbourough, Wrentham, Plainville, North Attleborough, and Attleboro over to the Rhode Island border. An artist’s rendering of the new Walmart planned for Route 1. Weylu’s, a long since vacated restaurant in Saugus, was sought after last year by a Las Vegas entrepreneur hoping to turn the site into the National Comedian’s Hall of Fame. The restaurant, which is a replica of China’s Forbidden City and occupies 10.5 acres of land overlooking Route 1, would be converted into an exhibit space, auditorium, gift shop, and classrooms. It was allegedly the largest Chinese restaurant ever built at the time in 1989 at 51,000 square feet. The restaurant was modeled after the Forbidden Palace in Beijing. It closed in 1999 and was reopened in 2004 as East manor. In 2006, the Jin Asian Cuisine Restaurant moved in but closed down in 2009. It’s been vacant ever since. In August 2009, New England’s first Sonic opened on Route 1 in Peabody. While Route 1 was already saturated with fast-food restaurants, an estimated 54,000 customers showed up in the first 10 days of operation, which added more traffic to the already clogged highway. At left, Heidi Brockmann, a Harvard University Graduate student, orders at Sonic shortly after its opening. They waited over an hour to get into a drive in spot. Santarpio’s, a brick-oven pizza restaurant, opened in September of 2010 in the building previously occupied by Bennigan’s. This location is the chain’s first suburban location and has created 70 new jobs. The restaurant is operated by the sixth generation of the Santarpio family and is located at 71 Newbury St. on Route 1. Route 1 faced serious damage in July of last year when a tanker carrying 10,000 gallons of gasoline crashed just before the Essex Street bridge. The accident created an eight-alarm fire and a fireball over homes and business. The truck driver, Neil Michaud of Manchester, was killed and several people in other vehicles were injured. Pavement on both sides of the highway was burned. The Massachusetts Department of Transportation wants to expand Route 1 in Revere, Malden, and Saugus. The 2.4-mile project would begin south of Copeland Circle up north through the Route 1/Route 99 interchange. 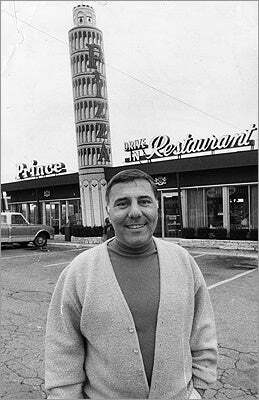 Pictured: Arthur Castraberti owner of Prince Spaghetti House in 1970. Another problem area for Route 1 has been the Tobin Bridge, which can be a headache for commuters but remains a vital link between North Shore communities and Boston. As of Monday, April 30, the left northbound lane of the bridge is closed until further notice to accommodate cleaning and repainting. This cuts down traffic from three lanes to two during the day and to one at night. This project is part of a $35.5 million initiative to remove lead paint from the 62-year-old bridge that began last spring. Casino developer Steve Wynn abandoned plans to build a Foxborough gambling resort off Route 1, a decision that reshuffles the competition for the sole Greater Boston casino license and eliminates a top-tier competitor for a casino proposal at Suffolk Downs. Wynn’s retreat was after anti-casino candidates swept the Foxborough town elections, marking the first ballot box defeat for a would-be casino developer in Massachusetts. The vote also underscores the difficulties in locating a casino in Greater Boston. Pictured: Russo’s Candy House on Route 1 in 2003, where a Krispy Kreme doughnut shop was slated move in. The Krispy Kreme signed was covered with black plastic after the store on Route 1 and the intersection of Lynn Fells Parkway closed in 2005. The closed Country Cue Billiards site on route 1 southbound in Peabody. The closed Country Side Motel site on route 1 southbound in Peabody. Barney makes an appearance at a birthday party celebration in the Boston Trailer Park on Route 1 in West Roxbury–the last remaining trailer park in the Boston area. The portion of road that MassDOT wants to improve has a history of operational and safety issues due to its heavy traffic and constricting lanes. Pictured: Route 1 in 1980. Residents in Peabody successfully prevented a Hooters restaurant from opening on Route 1 in the former spot occupied by the Bel Aire Diner. Instead, the Hooters opened up along Route 1 in Saugus. Hooters is known for its spicy chicken wings and scantily clad waitresses. Bennington Square in East Boston along Route 1 in 1972. Route 1 in Revere in 1972. 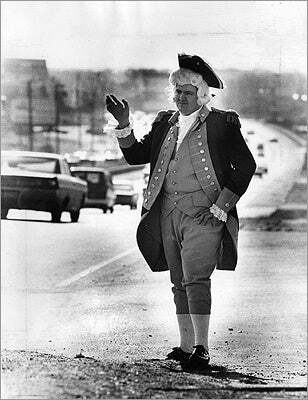 Pictured: James Leary as George Washington on Route 1 in Saugus outside the Marshall Pontiac-Datsun dealership in 1981.